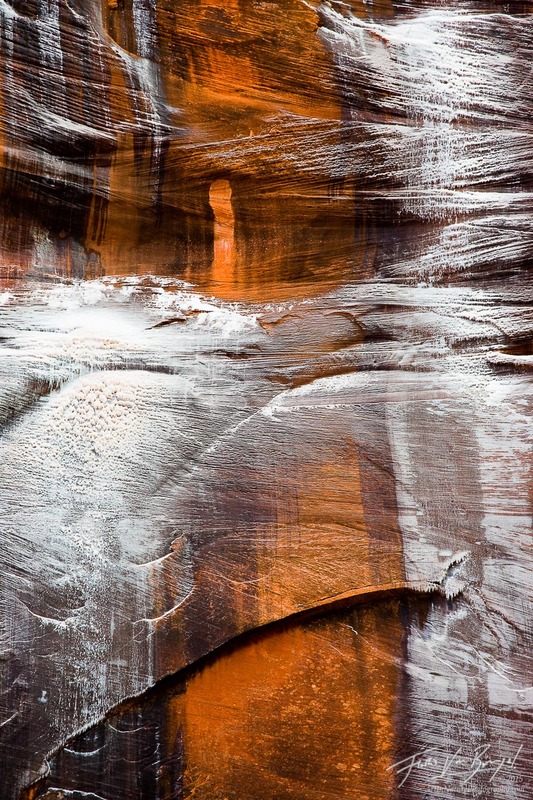 « Back to search results for "Abstract,red Rocks"
Winter is one of the most magical times to visit Utah's plentiful national parks, when the ubiquitous red rock formations are dusted with a light coating of fresh white snow. I took this image in Zion National Park, where I decided to focus on the walls of the canyon covered in a mix of ice and fresh snow. The scale can be decieving - the large crack eminating from the bottom left is about 50 feet long.